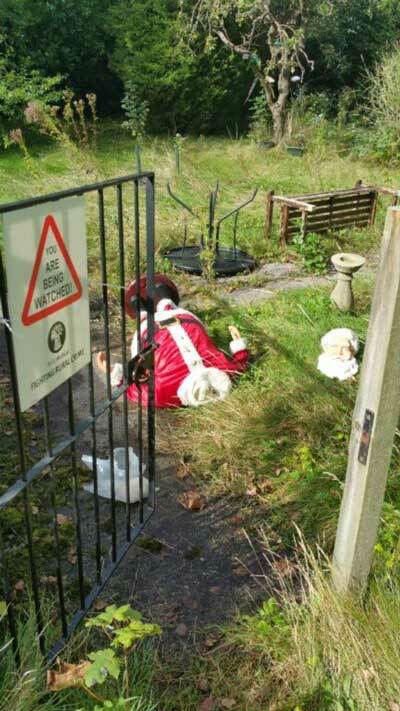 Vandals beheaded a Father Christmas model in a cruel case of criminal damage last week. As the countdown to Christmas approaches the last 100 days police were called to a garden display in leafy Aughton, west Lancashire, on Thursday. 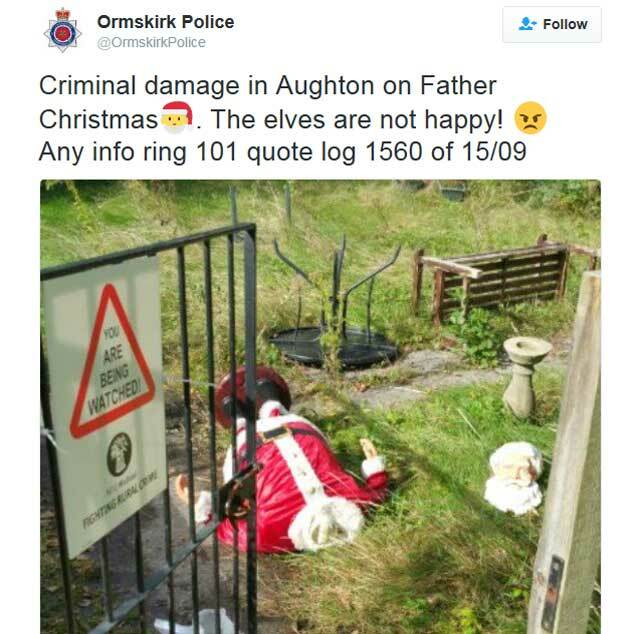 There they found someone had attacked one of the ornaments, leaving a headless Father Christmas lying on the grass. With the sun still shining, the signs of the approaching festive season did not appear to go down well with everyone.